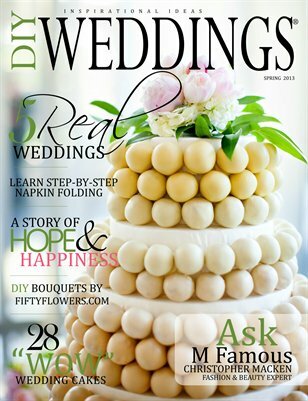 DIY Weddings® Magazine is a do-it-yourself wedding magazine written and created by brides for brides. A leading provider of a new innovative style of delivering digital eMagazine content. DIY Weddings® provides inspirational and budget saving ideas to brides who have a budget of $15,000 and under.